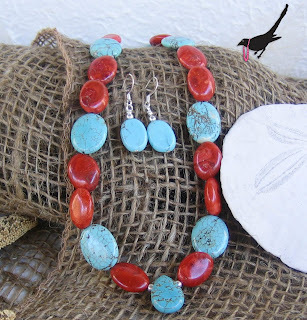 I have an ongoing love affair with turquoise. 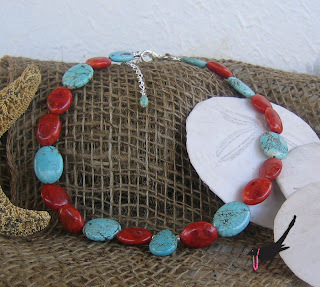 I've coupled it here with simulated red coral. This 16" necklace expands to 18" with a 2" extender chain. Includes matching earrings.